Dual occupancy can be a great way to achieve positive cash flow. 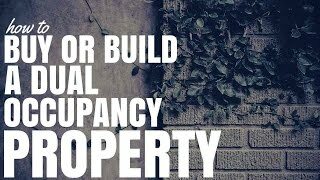 In this interview you’ll learn how to buy or build a dual oocupancy property. 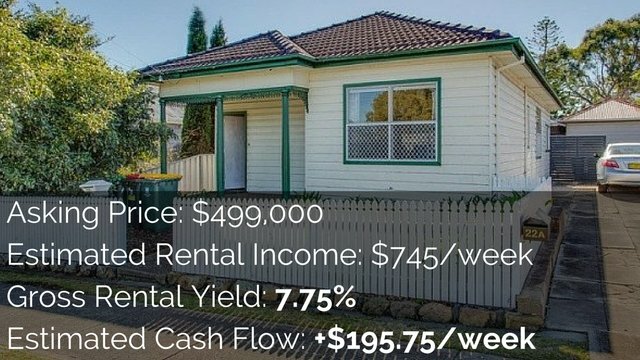 Hey Guys, Ryan here from onproperty.com.au, helping you find positive cash flow properties. Today, I’ve got with me Ben Everingham, who has done great things in property. 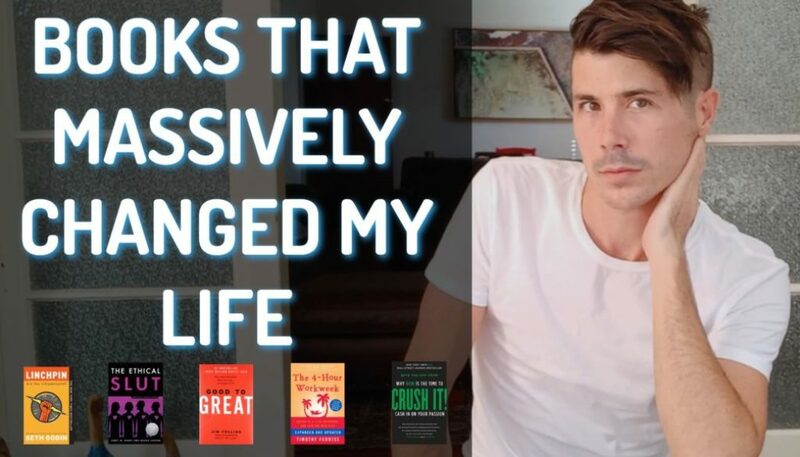 He achieved financial freedom before he was 30. He’s now working as a buyer’s agent. As you may have seen in our last episode, he’s also doing a no-money-down duplex deal where he’s hoping to get out $100,000 or $200,000. So he’s got a lot of experience in property and today, I’m pulling on his experience to talk about dual occupancy properties. So, how you can achieve dual occupancy, how you can go about doing this, what’s the process of it, the different ways that you can do it. So, I’m really excited to get from his wealth of knowledge. Want to buy a dual income property yourself but need some help? Ben’s team at Pumped On Property is offering you a complimentary strategy session to get clear on your goals and provide you with the next steps you need to take to move forward. If you’re keen to grow your portfolio click here to book your free strategy session. Ryan: Hey Ben, thanks for coming on. Ben: Hey Ryan, how are you going? Hey guys. Thanks for having me back. Ryan: Okay. First, we want to touch on the benefits of having a dual occupancy property. For me, the first benefit that I see is, obviously, the increase rental income that can come from a property. If you’ve got a 4-bedroom house that’ll rent for a certain amount but if you got 2 lots of 2-bedrooms that you can fit into the same house, you’re likely to get a higher rental yield for the property. Or if you own a house and you build a granny flat on the back, then you’ve got that extra rental income coming in. I’ve actually interviewed a guy called Wally Gabriel from Granny Flat Solutions. In some areas in Sydney, they’re building these granny flats that are renting for more than the house itself. Ryan: So, rental yield and rental income, in order to generate a positive cash flow is obviously a massive benefit of dual occupancies. What other benefits do you see, Ben? Ben: Definitely reducing your risk, I suppose. And also, increasing your serviceability from a bank’s perspective. I’ve had dual occupancy properties and properties where single dwelling. And the dual occupancy, any day of the week, if one tenant falls out, you’ve still got that income coming through which almost services the loan on the property anyway from the second dwelling. Ryan: So, with the serviceability and how the banks look at that, do they look at the total potential income for the property and then some banks only take 80% of that or whatever or do they actually see it as better because you’re getting two income streams? Does that affect it at all or is it just that the rental income figure is higher? Ben: Yeah, they look at that gross rental income figure and then, as you said, take 80% of that on board. Ryan: Yup. And so, the higher rental yield can help you generate a positive cash flow; can help you service the loan better; which means you can go into future properties more. I just think it’s a great opportunity for people who are interested in positive cash flow or who might want to balance out their portfolio to create a neutral position because they’ve got negatively-geared properties as well. It’s pretty exciting stuff. Ben: Definitely, yeah. I really like what you just said there. For a lot of your clients and, obviously, community at On Property, obviously chasing positive cash flow and income replacements, it’s extremely important to everybody and a lot of people that listen to you. From that perspective, they’re definitely hard to beat. Ryan: Yeah. Because people would contact me about my membership site, On Property Plus, and they’re like, is it just regional centres or regional areas that you have properties in? I do actually find positive cash flow properties in Sydney and in some of these big capital cities. And often, especially in Sydney, it’s these properties that have dual occupancy or that have granny flats attached to them where you can get rental yields that are way above what the suburb would actually deliver. And so, you can purchase a property in Sydney for those people who are risk-adverse but you can get that positive cash flow as well. A lot of people are doing this and if you’re interested in positive cash flow, this is definitely an episode that you want to listen to. So let’s go into kind of the different ways that people can achieve dual occupancy, because it’s not just one way. Let’s start with you, what’s one of the ways that we’ve got down here? Ben: Cool. Just to clarify when [inaudible 4:06] are talking about dual occupancy today, there’s so many different names. So, the “granny flat”, they call it “dual key”, “dual occupancy”, “dual dwelling”, “dual living”, “auxiliary units”, “ancillary units”, “secondary units” and “family accommodation”, depending on local government area. I have no idea why they all didn’t just get together across Australia and go, this is a dual occupancy. But that’s the game that we all get to play in. So, to explain, I suppose, from the first perspective, we’ll call it dual occupancy just for conversation today. There’s basically 3 major ways that what I’d define “dual occupancy”. The first one is really about finding an existing property and then constructing a secondary dwelling or a dual occupancy on the back of that. That may be like a 1-bedroom granny flat, 2-bedroom granny flat, something like that. The second option’s finding an existing house and actually an existing house with some sort of shared or sleep out in the backyard or carport that’s detached from the house and renovating that carport. That’s something that I’ve personally done in New South Wales before and we’ll get back to that. And then the third is finding an existing house and putting the dual occupancy under the same roofline. So if anybody that’s been looking at building in the last couple of years, they’re those 5-bedroom, 3-bathroom houses that you see. Or the traditionally it’s a 3-bedroom, 2-bathroom on one side and the 2-bedroom, 1-bathroom on the other side. Or 3-bedroom, 2-bathroom on one side of the house and 1-bedroom, 1-bathroom dual occupancy dwelling and it’s all just under one roofline. That’s probably the most common way you see dual occupancies being moved into the market at the moment. Ryan: Yeah. And then, I would actually add to that and look at, you can also have existing properties that aren’t new build that you could actually purchase and then convert into a dual occupancy by maybe moving some of the rooms around or adding a kitchen in somewhere or blocking it off. Because I have seen people do that, just take an existing house that isn’t intended for dual occupancy, without doing any external structure work, just internal stuff. Converting it into a dual occupancy property. So there’s a few different ways that you guys can do it, it’s not just one way to do it. And as Ben was saying, depending on your council area, will depend on what you can do. That’s kind of why we wanted to cover off the different ways. Because depending on where you are or where you buy your property, will depend on what strategy you can use and what you can employ. You will need to, obviously, talk to a town planner and we’ll get to that and how you can actually do this strategy. So, Ben’s kind enough to actually walk us through. He’s done this twice before using 2 different methods. So he’s kind enough to actually walk us through exactly how he did it and so you guys can get an idea of the process of achieving dual occupancy. So what we wanted to start with was the existing house with the external garage or shed that you convert into a granny flat. This is from what you call your frankenstein house. So, talk us through this. Let’s start. When you purchase a property, was it always you plan to do this? Did you seek out a property where you could make this happen? Ben: Basically, I was living in Sydney at the time, just near Cronulla Beach. Ryan: That’s where I’m from as well. Ben: I bought a residents’ guide and I’d identified a suburb on the central coast, I think that you’re also familiar with, it’s called San Remo. It’s basically near Toukli, in between Sydney and New Castle. Ryan: Yeah. So I actually lived in Charmhaven, which is right — like it’s border of San Remo. I know exactly what you’re talking about. Ben: As I’ve said to you before, this property wasn’t one that we actively — we never aim to find a dual occupancy property in that market. We just knew that that suburb at that time would do well and it has. It’s increased in value by about 10%+ every single year since we bought it. That particular property was a 5-bedroom, 2-storey home with 2 bathrooms and that it had this shed out the backyard, which was completely locked up. It wasn’t until actually after we’d inspected the property for the second time that we walked through the shed and realised that somebody had already converted it into a second dwelling. They just haven’t done it legally, unfortunately. It had a kitchen, and it had a bathroom and it had 1 and half bedrooms and an entertaining/lounging area. Basically, a couple of years after owning that property, I think we paid $213,000 for it and it was renting for $400 per week from day 1. We decided that we wanted to increase the rental yield on the property and, basically, we did up the granny flat; rented that out for $200. So, on a $200,000-investment, we’re getting $600 a week rent return from that property. Ben: Yeah. Strong return and it was literally a process of going to the council and saying that we wanted just under the complying development, which is the 10-day approval process. Saying that there’s existing dwelling here, we just want to make sure it’s checked through a town planner, that it’s all structurally sound. Unfortunately, there were some other things that they guy had done to the existing 5-bedroom home that we didn’t realise and we had to rip out bits and pieces of that home to make that compliant as well. After we’d done that, we were able to go back to the secondary dwelling or the dual occupancy out the back and renovate that up and then rent them out to separate people. Ryan: Let me get this straight, so you purchased this house. It has this illegal dwelling — let’s just call it what it is, an illegal dwelling on the back that hasn’t been council-approved. Ryan: There had been additions to the house itself that weren’t council-approved. Ryan: So, did you employ the help of a town planner and they said, look, like this isn’t legit, you need to fix this up first. Or did you go to council and council came back and said, here’s some changes you need to make. Ben: Unfortunately, we went to a town planner, put a lot of trust in them. As you do when you’re just sort of starting out. Ryan: Well, you expect them to know what they’re talking about. Ben: Exactly. And so we’ve gone to the town planner and they basically put — without coming out to the property and doing what they needed to do properly; which was to look at the existing dwelling and giving us the heads up that things needed to be changed. They tried to submit mis-complying development. The council has basically had our property on record for a little while and identified that there are a couple of structurally just waiting for someone to come through to the property through to the council and actually, it was actually red-flagged, I suppose, you could call it. Ryan: Does the council have spies that go around and assess out properties that are doing this stuff? Like they know what’s going on. Ben: Council’s in a lot of areas know what’s going on. Like, if there’s non-compliant housing and granny flats on properties, they know. It’s just they’re too busy to actually go out there in a lot of these markets and do something about it. So they definitely knew. It was just a matter of someone trying to do something with the house, which was us. And he’s basically told us we’d had to put an internal connecting stairway in the house. We’ve had to rip out the downstairs wet area; which is like a secondary kitchen. We’ve had to to a bunch of other things to take it back to it’s original form. So, we’ve had to do all of that and then after that’s all done, ticked it off with him then we could submit the complying development for the actual dual occupancy or granny flat again. Ryan: Okay. So, for a regular person who’s buying a house, is there a way that they can find out if the house has been “frankenstein-ed” before they buy it? Can they find out what’s compliant and what’s not in the house itself? Because some people might not be happy buying a house that’s red-flagged. Ben: Definitely, I wouldn’t recommend it. It was a lot more pain than it was worth. It was just because the rental yield was so high, we continued to persevere. The simplest way is to look at the original or the current building plans for the property. And if it’s a 2-storey home, for example, there’s 19 out of 20 properties that are 2-storey that have an illegal ceiling height underneath the property and there’s the bottom floor that have been fitted out whenever council approved. So, it’s about looking at the original house and what’s been done underneath since. And just finding out, if the council does ask you to take it back to its original form, is that worth it and what’s that actually going to cost you pre-jumping into a deal? And pretty quickly, you can look at a plan and go, upstairs is filled up, downstairs is empty. I’m walking through the house and downstairs there’s a bathroom, 2 bedrooms, a wet area and a lounge room. Somebody’s obviously done something that they shouldn’t have done. Ryan: Yup. Okay, so you can work it out based on the building plans. And, obviously, you need to inspect the property and make sure everything lines up with that and then you could, I guess, if you’re not savvy, you could probably employ the help of like a building inspector and get them to look over it when you’re doing your building inspection, do you think? Ben: Yeah. Building inspectors generally don’t look for that, though. That would have to be a special request. Ryan: Yeah. That’s what I mean, like you could special request it if you’re worried. Ben: Yeah, that would be a great idea. Ryan: Okay. So, let’s talk about getting that back shared area approved. So you employed a town planner, they submitted it. Obviously, it came back. How much does it cost to get a town planner in the first place and then how much does it cost to actually get approved for dual occupancy? Is it a high cost sort of thing? Ben: No. For something like that, because the dwelling was already there and because the existing dwelling was built the correct way; on a good slab, good frame and good quality materials. It cost us about it think it was $1,700 or $1,800 for the town planner and it was supposed to take about 10 days but ended up dragging out for about 12 months. $1,200 would be sort of the normal. There’s a huge amount of companies that just specialise in New South Wales in complying developments for granny flats. I would definitely approach one of those guys to help you through the process and to actually look at the site, pre-submitting anything to make sure it’s feasible before you actually buy it. Ryan: Okay. Do the council charge you anything to create that dual occupancy? Does the title of the property change or something so that it becomes like a multiple unit dwelling compared to just a standard house? Ben: There was a little bit of fees. But again, because we already had water hooked up the property; we already had electrical hooked up to the property because this guy had done all the hard work for us from that perspective. Sewage was connected to the property. There weren’t all of those additional connection cost, which some people come in to. It was just a fee, obviously, for the council’s time, which I think ended up costing us again about $1,500 in that region. Ryan: Okay. So you got your town planner, which is $1,800. You’ve got the council’s time, which is about $1,500. So then you’re around like $3,000 and then if someone’s building a property themselves, then they’re going to also have to pay the council to hook up water, to hook up electrical and to hook up sewage. Ben: Correct. And then, also on top of that, obviously, engineering certification on the new dwelling, council certification. The general cost I’ve heard from building a brand new granny flat in New South Wales from scratch is anywhere between $70,000 and $130,000, depending on who you use and how far you go. And that’s including all those council costs and construction and things like that. Ryan: Yeah. That’s including the construction and stuff as well. I was just curious, I was just trying to work out; construction aside, how much does it cost to get this sort of thing done. But anyone could go to a town planner in their area knowing that they’re going to have to pay the town planner fees, water, electrical, sewage, the council’s time, engineering certification and council certification. The town planner could probably give them a rough figure for how much it’s going to cost. Ben: Absolutely. Look, you can easily do that feasibility and the town planner will tell you all of those things or alternatively, you can ring up the council. Council will tell you their part and then the town planner’s service fee will obviously be on top of that. Ryan: Okay. What happens to the title of the property? First. And then I want to talk about how does it affect your loan with the bank and what do you have to do there? So first, let’s start, how does it affect the title of your property? Ben: It doesn’t at all. It’s just, basically, a single dwelling. It’s still just a single title. There’s not title splits or anything like that on the property there at all. Ryan: Does it change categories or something? Because I’ve seen listings on realestate.com.au that talk about like a multi-person dwelling or something like that. Ben: Yeah. I think a lot of it is just marketing speech, to be honest with you. It basically sits under exactly the same town planning scheme and it’s, as I said, just a single title; exactly the same as it was. It’s obviously just making sure that you comply with whatever the council guidelines are in that particular area for that secondary dwelling. Most of the guidelines are really just around land size, around how far you can put that second dwelling from house and the size of that. As long as you comply with that, they pretty much slip straight through without any major issues. Ryan: Yeah. Especially in New South Wales, like in city areas in New South Wales and stuff like that. Just make sure, guys, that you do check with your local council and with your state. Because I know, like in Victoria, it can be really hard because you’re only allowed to do it for family members and stuff like that. People have told me, I’m not 100% sure on that. What about your loan with the bank? Did it affect that at all? Ben: Not at all. Again, just when I went to re-service a new property, it obviously helped my serviceability. And then secondary to that, when I got the property re-valued, it obviously — This is one thing, like it doesn’t actually add dollar value to your property. Like adding $100,000 secondary dwelling to your property might not add $100,000 in value right now. Because it’s such a new thing that valuers don’t have enough properties that have re-sold to actually put a dollar figure on exactly what that second dwelling’s worth. But it definitely, from our perspective, I think it ended up costing us about $15,000 total including the renovation of that existing dwelling and it definitely added more than $15,000 value to our property. Ryan: Yeah. Well, you’re in a position that it had already been built and constructed and so you didn’t have to pay for the construction. Obviously, if someone’s going to a bank and is wanting to spend $100,000 to build a granny flat, then they’re probably going to have to get a loan for that. And they can talk to their mortgage broker about how to go and do that. But yeah, as you said, from what I’ve heard, granny flats — if you’re looking at getting instant equity, generally, dual occupancy and creating granny flats isn’t really a way to go there. From what I’ve heard, valuers tend to match it or come under it and when it sells, properties tend to sell for basically, if you spent $100,000 on a granny flat, it kind of adds $100,000 of value to your property. It’s not something that’s going to push you $100,000 in equity like a duplex might or something like that. Ben: I had an interesting conversation with the valuer, actually, recently in regards to this property. He told me that I really shouldn’t be selling this property back to the residential market. I should be looking for a self-managed super fund investor or a commercial investor. Because the return on this property is over 16%, the gross rental yield. With that in mind, I should be looking for somebody that values it in a completely different way from your normal mum and dad market that’s obviously just going to pay market value. Like, I might be able to sell it for $340,000 to mum and dad but I might be able to sell it to someone in the self-managed super fund for $450,000 because at $450,000, they’re still getting a 10% guaranteed year-on-year return. Ryan: Yeah. 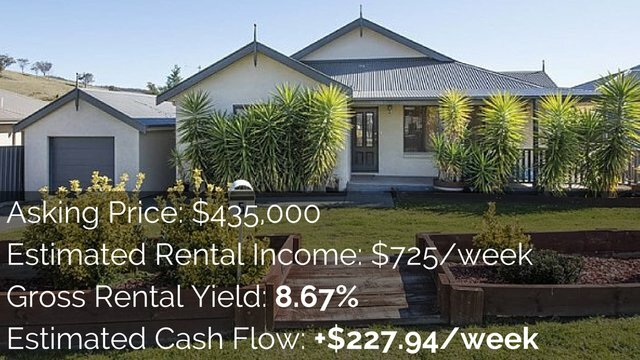 They’re looking at the rental yield, not necessarily — I think that’s the reason granny flats don’t add value because the general market goes in who are looking to buy a home and they go, oh, granny flat. I don’t really know what I’m going to do with that. Whereas an investor, I can see that extra income coming in and the property becomes more valuable. I actually had a friend who had a dual occupancy property in South Australia and they had trouble selling it to the general market and they basically just changed the way that they advertised this property to talk about a property for investors and to talk about the rental yield and then the property — like, it sat on the market for months and months and they couldn’t sell it. And then they marketed it as the rental yield and marketed it to investors and they were able to get a few people bidding against the property. So that actually worked out really well for them. I guess, if people do go down the path of creating a dual occupancy, when it comes time to sell, consider that, definitely. So let’s talk about this new build properties that people are building that are dual key or dual lock or whatever it is that they calling them; different areas, different things. Basically, it’s a larger property that’s been purposely split in two to create a dual occupancy. So you’ve done one of these, talk us through. This was last year or something, wasn’t it? When did you do this? Ryan: So are you saying you built a dual occupancy property on 250 sqm? Ben: Correct, yeah. 250 sqm home on a 250 sqm piece of land. Ryan: Wow! Yeah. Okay, yup. Go on. Ben: So, in the Moreton Bay regional council at the time — and still now, in my knowledge — there’s no size limit on lots for actually building a dual occupancy. Whereas in, for example, Sunshine Coast, you need a 600-sqm piece of land; and that’s the same in Logan. So in that area, you didn’t. We basically purchased the land, it was a distressed developer. We got it just before the market kicks up. It was a good time to buy and a good price to buy at. We basically built a double storey dual occupancy. So, if you’re looking at it from the street — I might actually send some photos to you, Ryan, that you can chug at the bottom of this. Just so that people can get their heads around it. Ryan: We’ll put them up in the video now, as we’re talking. Ryan: We’ll put a slideshow through. Ben: Perfect. So, 2-storey. You walk in the front door downstairs. Basically, downstairs is kitchen, entertaining area, alfresco, laundry. You walk up the stairs and there’s 3 bedrooms and 2 bathrooms upstairs. And then you walk, say from the street to the left-hand side of the property, and there’s a 1-bedroom, 1-bathroom living area with an alfresco and their own backyard at the back of the property. So, it’s all under one roofline. I think the total cost of that property was roughly $400,000, including land and build. It’s currently renting for $540 per week, which is significantly under market value. I just haven’t had a chance to increase the rent yet. Ryan: Okay. So with this building process, you bought the land yourself and then contracted a builder yourself, is that right? Ryan: Was this a builder that has done these dual occupancies before and they just have a kit home that they say, here’s how we build it. And you kind of just adjust it as you need to or was it something that you needed an architect to draw up? Ben: So this builder builds over 200 homes a year in Southeast Queensland and they specialise, I’d say at least 100 of those homes would be dual occupancy. So, they’re probably building as many, if not more dual occupancies than anyone else in this area. But it’s not like they had a plan for a 250-sqm home but they know the council legislation; they know the planners; they’ve got a draftsman and basically just drew up a plan that would suit the block for me. We went back and forth on design until I felt like it actually met the market. And then, we signed off on it. You want to do the deal as a you want to buy the land on its own and do the building as a separate contract. Because that way, you only pay stamp duty on the land, not on the total cost of house and land package. Ryan: Yeah. And then as well, if you do that then you minimising the risk of buying through a property marketer who’s getting huge commissions and you’re paying overprice for the property as well. Ben: That’s a really good point. Sorry to just jump in there, but almost every one of these properties that you see advertised is through a third-party. So they’re basically gone to the developer, gone to the builder, put a package together and put $30,000 to $50,000 margin in it for them and their business. You see these everywhere at the moment; in seminars in Sydney, Melbourne, Western Australia. They’re being sold to everybody. It’s far better to do your own research, find your own piece of land, find your right builder and then put the deal together that way. Ryan: Yeah. I’ve been trying to educate people around these “free” property mentors or advisors or marketers. You and I know, people are making huge commissions off people and at the end of the day, generally, it’s the person who’s buying the property ends up overpaying for this property in a lot of cases. And so, yeah, I definitely agree with you in the fact that buying land and then sourcing your own builders is a much safer strategy to get a property that is going to be market value or, hopefully, below what you paid for it and so you can get some of that instant equity there. So if you’re going to someone and they’re marketing a complete deal for you and they’re not talking about their cost at the end of it and stuff like that. Then, just be very careful is what I would say. Ben: Absolutely. A good example of this was, I had a really good friend, like a friend that I went to school with. As I said, I paid just under $400,000 turn-key for mine. As I said, it was over 16 months ago. Now, just before that market really picked up, land price have increased by sort of $50,000-plus in the period of time in that market. But he basically went through a property marketer that he has a relationship with. The property marketer put a similar deal together, which was closer to $480,000 for him. So he was obviously making some good money on the way through. He had to go to 6 different banks before that actually valued the property up at what they would price him at. So 6 other banks had knocked him back saying, this property, you’re overpaying, there’s nothing comparable. He still went through with the deal. When in reality, he could have put that together in half an hour on his own just by ringing a few people or talking to the right people. Ryan: Yeah. I always say to people, just do your research and, like Ben was saying, look at comparables in the area. I do want to talk about — because you are helping people do this and I want to talk about how you differentiate from a third-party property marketer to make sure people aren’t getting ripped off. Whether people go through you or whether they go through a property marketer or whether they do it themselves, it’s so important that you go to the area and you look at, okay, what similar properties are there in this area? What are they selling for? And get a realistic figure of what this property is going to be worth and what this property is going to rent for when it comes time. If someone’s helping or they’re marketing the property to you, don’t take their word for it. Absolutely don’t take their word for it. Do your own research and find out what is this going to be valued at and what it’s going to rent for. I’m glad we covered that off because this is a good strategy. And if you do it right, it can lead to great results. But if you just go through a third-party because they’re going to help you do it for you and it’s going to be free, just out of the goodness of our hearts and you end up overpaying for this property. 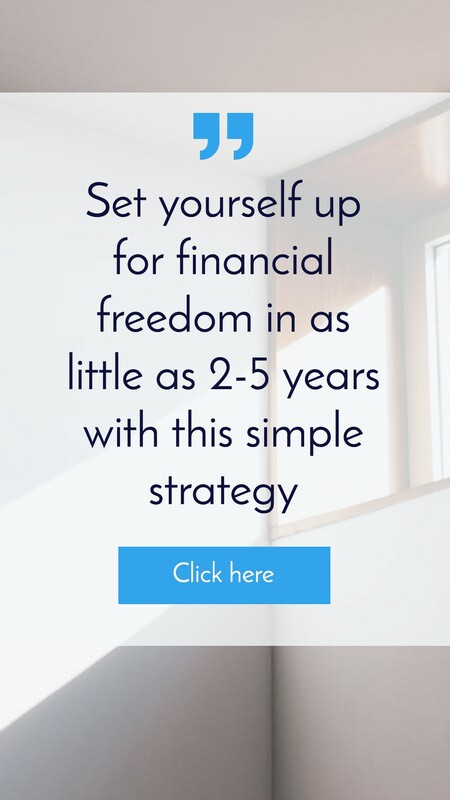 Then, you’re going to put yourself in a position where it’s going to take you years to catch up and you might be moving towards your goal of financial freedom as quickly as possible. I’m glad we covered that. We’ll talk in the end about how you differentiate from the property marketers. Going back to the strategy, when you source out the land, how do you know that you can build these dual occupancy properties on them? Ben: Yeah. That’s a really good point. Ryan: Specially when it’s 250 sqm. Ben: Yeah. Every local government area in Southeast Queensland — and there’s 9 or 10 that I’ve got in front of me right now — have a different set of guidelines for where you can build these properties. So to give you just a really quick example, in Brisbane City Council, the secondary dwellings have to be 70 sqm and they can’t be rented out to anybody unless they’re in the household group. If you look at the Sunshine Coast, you need a minimum land size of 600 sqm but the secondary dwelling can only be 60 sqm, unless it’s in a rural area, which they can be 90 sqm. You’re getting what I’m saying, basically, that it’s super area-dependent on what you can and can’t do. I suppose, before you identify what you want to build or where you want the build, you’ve got to identify, is dual occupancy actually the right property for your scenario right now? I’d say it’s the right property if you’re interested in cash flow, as Ryan said. You have low risk or you’ve got 1 or 2 negatively-geared properties in another are and you want surplus cash flow from a property to move forward. The other reason I bought them was because I’d hit a serviceability limit and I needed additional income that I couldn’t earn while I was working on wages. So, I needed a property that put surplus income into my pocket each week. So that I could justify to the banks that they would lend me more money to keep moving forward. So, they’re the major reasons, I suppose, people pick up these sorts of properties. Ryan: So how do you find out what is acceptable in a different council area? Is it on the council’s website or do you have to call the council? Ben: The easiest way, I’m more of a relational person so I’ll always call the council and just be like, look, I’m looking to build a secondary dwelling or an auxiliary unit or a dual occupancy in your council area, can I do it? Can I rent it back to somebody that’s outside of my family? If so, where do I find more information? Most council town planning schemes will have a 4 or 5-page document on that exact dwelling type and you can just read that. Once you know that you can build in that area, I suppose that’s the time then where you’ve got, you know, it has to be 600 sqm, it has to be this far away from the home, it has to look like this, it has to be this size. You can go, either find a piece of land that suits like that, or, the way a lot of the builders work in Southeast Queensland is if you come to them saying, I want this property type, they’ve got relationships with developers and they don’t get kickbacks off the developers most of the time, they just make their money from helping you find land and winning the build. So, they’ll hope you go and find suitable pieces of land and begin presenting options back to you or just introduce you directly to developers. Ryan: Okay. So, I think that’s a great idea. Call the council, ask them, say, here’s what I’m looking to do, can I do it and where can I more information? Because they’ll just pinpoint you on exactly what you need to know and make it really simple for you. And then, as you said, you can also contact builders, if you want. I think that’s smart because they obviously want to win the business for the build and that’s where they’re going to make their money. And so, they can point you in the direction of land that meets that criteria. Because if they’re doing that and helping you out, chances are you’re going to go with them. Ryan: So that makes sense. And then, going through the process of doing the build and stuff like that, does the builder manage all of the council submissions and stuff for you or do you need to get a town planner? Ben: Basically, the builder does everything for you, or a good builder should. So they will hold your hands through the entire process. Once you’ve signed the preliminary document with them, deposited and then signed the actual formal contract with them, they will do everything. From designing it, engineering drawings, soil test. They’ll obviously take it through council for you, do all the planning on it. It’s a very simple process and, from what I’ve found, the cost of building that as opposed to a normal dwelling, really only between $15,000 and $30,000 more than it would be to build a 4-bedroom dwelling on the same piece of land. You’d exponentially increasing your returns for not much more outlay. Ryan: What about the value of the property? Like, putting in, say, an extra $30,000 in order to get this dual occupancy. Do you think you’ll get that back in value of the property? Or do you think, like, we’re talking about with people building separate granny flats, how they could only add the value that it cost to create one? Ben: I think it’s more of the second. Unfortunately, valuers still don’t know how to value these. The reason being, they’re being sold to people like myself but nobody’s going to re-sell something back in a growth market that’s giving you a 7% return. So, none of these properties have come back on to the market yet. Which means a valuer can’t justify in historical sale to say, yup, these do sell for more. So, generally, for example, a 3-bedroom, 2-bathroom, 1-bedroom, 1-bathroom dual occupancy, from a valuation perspective, will value up like a 4-bedroom, 3-bathroom home and that’s how valuers do it. Ryan: Okay. Yup. Well, that’s good for people to know. When it comes to purchasing the property, would I be right in assuming that for the loan, you would purchase the land first and you get a loan for that and then you will get a construction loan for the build of the house? Just like you would in any standard house build? Ryan: And so, you would work with your builder to get the approval from your bank. Is that how it works? How’s it work? Ben: Correct, yes. Basically, once you’ve got the completed building contract, the builder will then send that back to your bank along with all the other documents they require or to your mortgage broker and they will work with the bank. So if there’s any more information that they need to submit, they’ll submit that on your behalf. And it will be more the mortgage broker, your solicitor and the builder working with the bank to make that happen on your behalf as opposed to you having to really do too much. Ryan: Okay. Do you have to pay the builder deposit before that happens? Because what happens if you pay the builder and then the bank decides they won’t lend you any money? Ben: Yeah. So this happens fairly regularly, obviously, just because, again, prices in a lot of areas have increased by $20,000 to $50,000 in the last 12 to 18 months so it means that the recent sales, there’s not historical sales for those recent sales, if you know what I mean. So, the market’s jumped to quick; which means our valuers comparing today’s house and land package based on 12 months ago’s sale, and so there’s a discrepancy in price, which happens every time the market jumps as quickly as Australia’s jumped at the moment. Sometimes, you’re not getting the valuation back and it may mean you have to come up with a couple of percent more of deposit or it may mean you have to pay more than this mortgage insurance or it may mean you need to go and find another deal or alternatively, find another bank that’s prepared to finance it. Ryan: So how much have you paid the builder at this point to get the submission through to the bank? Ben: By the time you’ve gone to that stage where the paperwork’s going to the bank, you basically paid your $1,500 or $2,500 initial deposit. Which gets all of your soil tests and engineering done, all your building drawings done. And then, you’ve basically came back, signed off on all that preliminary stuff, you’ve got a fixed-price contract. And with that fixed-price contract, some builders would charge you more money, some builders won’t. It really depends, some builders charge you up to 5% at that point. But again, if for whatever reason, you can’t proceed with the bank, most builders will refund that money for you. Ryan: Yeah. So, really, you’re out $1,500-$2,500 to get your soil tests and to get your drawings done up. You then pay like a 5% deposit to the builder. You then go to the banks and if you get kicked back by the banks, you generally get your deposit, your 5% back but you lose that $2,500 or something. Ben: To be honest with you, by the time you’ve got the contract together, most good builders won’t charge you that 5% before that because they want the contract to go through the banks and they want you to get approval. So, they don’t want to slow the process down by asking you for money when you’re in a period of uncertainty. So, a lot of the good builders won’t charge you more than that $2,500 until finance has gone unconditional on the contract, which is your 14 days or whatever it takes you after you’ve submitted the contract to the bank to get it approved. They’ll send a valuer out during that 14-day period to value up the house and the land and then you can go from there. Ryan: Do you do this before you settle on the land? Or can you only do this after you officially own the land. Ben: It’s kind of like the chicken and the egg thing, unfortunately. It depends who you’re working with. Some builders will make all this stuff happen before you’ve settled on the land. But most of the time, the banks now want you to physically own that piece of land before they’ll value up the house and the land. Because it has to be in your name. Ryan: Yeah. So you got to take that risk and be fairly confident it’s going to get through. Don’t just buy land willy-nilly. Ben: You know what, to be honest with you, by the point you’ve decided to do this, the valuation is the furthest thing from your mind. Because you’ve already done your research into the area, you already understand the price of land, you’ve already price-compared a couple of builders and you know that you’re getting the product for the right price. That builder will have probably done the same deal a number of times in that area and they will have contacted a bank that will be able to help the process through anyway, worst case scenario, if your own bank manager can’t get it done. Ryan: Okay. Alright. This sounds good. It sounds pretty straightforward, sounds pretty simple. It’s not super complex. And the fact that the builder is going to do most of the work for you in terms of council submissions and stuff like that. If you’ve got a mortgage broker, then they’re going to help you. They’re going to work with the builder to get your loan and work with your solicitor. So it’s kind of like you’ve got all these people working for you to get this over the line. So in terms of what you had to do, what did you have to do as the investor to make this sort of stuff happen apart from signing documents? Ben: Yeah. To be really honest with you, to pull the different parties together. So, to meet the right broker, to meet the right solicitor, to meet the right builder, to find the piece of land. You just bring them all together, let them do what they naturally do for you. As you said, just sign off on the different pieces and make sure you manage everybody so that they deliver to the deadlines that you’ve set. Ryan: Yeah. So you’re kind of just acting as like a project manager over the people that are working for you and just keeping in contact with them, making sure that everything is going smoothly, making sure they’re doing their job and if they need any more information you, you can give it to them. Is that it? Ryan: And then how long does the build take? Ben: The general building in Queensland at the moment is anywhere between 12 and 14 weeks. Some companies will blow out it to 20-24 weeks. I recently had a house built from one of the builders that I partner with and it took him — he did it for me in 7 weeks. Ben: He was pretty motivated to get me into the house. It was actually my father-in-law, we’re living in his granny flat while we’re building the house and he wanted us out of there. Ryan: Alright. So 12 to 14 weeks or 20 to 24 weeks for the build. What about from start to finish? So from the fact that — when, let’s say, from the day you settle on the land, how long is it until you’re getting rental income coming in, do you think? Ben: So, generally, the process works like this; so, you settle on the land, the builders should get out to site within 2 to 6 weeks of you owning that piece of land. The stages of construction; first stage is cutting the site and putting the slab down. Ryan: When say they’re onsite, do you mean they’re starting the build within 2 to 6 weeks? Ben: They’re starting the build, yup. So you really want the builder to be starting after you’ve settled on the land. Because you’re paying interest on a piece of land, you really want to get the build happening as quickly as possible. Depends on how busy the builder is and where the industry is at, 2 to 6 weeks to get to site, sometimes a little bit longer. The build occurs obviously; slab, frame, roof, fix out; which is all of the internal stuff. You know, kitchens, bathrooms, tiles, vinyl. And then, you inspect the property, make sure that the property’s actually what you wanted it to be. The builder will come back and fix any defects. So you probably looking, end-to-end, about a 20-week period with a quick builder and you might be looking a little bit longer than that for a not-so-quick builder. Again, it depends if you’re building a single storey or a double story home. Double storey traditionally takes a fair bit longer to build. Ryan: Okay. So you’re kind of looking at like 20 weeks as well, like 5 months or something like that. So you’re kind of looking at 5 to 6 months from when you settle on the land to when everything is approved and you can get a tenant in there. Ben: I think 6 months is a really good, you know, just rule-of-thumb. Ryan: Yeah. And something that people need to keep in mind is that you’re paying interest during this 6-month period. And so, even though this property is going to hopefully deliver you a positive cash flow at the end of it, you’ve got a 6-month period where you need to be able to afford to pay for that loan. So, first you’ve got the land and then as the property is built, you know, the slab’s put down, the frame’s put up, the roof’s put on; you need to make payments to the builder. Which means, your loan is increasing until you get to the point where you can rent it out. So, I think people need to factor that in. If they’re going to do a deal like this, that they can afford it for that 6 months. Ben: Exactly. There are builders that we partner with that will carry the cost of the build for you. Ryan: You mean all the way to the end? Ben: All the way to the end, yeah. And then they just, obviously, charge you whatever they paid on interest plus a little bit. So they might charge you an extra $10,000 or $15,000 on the build but it means that you don’t have to actually carry the cost all the way through. Ryan: Okay. So then you’re just paying interest on the land and effectively, the builder is giving you a loan until the end of the build. And so when the frame’s put in and the frame cost X-amount of dollars, they add that to their whatever. They put interest on that as the weeks go on, is that how it works? Ben: Exactly. That might be like $40,000 in the first 3 weeks to get the slab down and they’ll start charging you from $1 to $40,000 a 6% interest for the year or whatever it’s going to be. Ryan: Okay. Well, that’s good to know as an option for people who feel like they can’t afford it during that 6 months. I’d be very weary if people can’t afford it during that 6 months. Ben: You want to be able to afford it, definitely. It’s more an option for people that want to invest in self-managed super or are paying $700 a week rent in Sydney but can easily afford an investment property that don’t want to pay an extra $300 or $400 a week at the back of the build in interest. Ryan: Yeah. The idea is, you just bring that over until you’ve got rental income coming in and then the rental income pays for it. Ben: Yup. Absolutely. Your general dual occupancy would be returning between 5.5% and 8.5% gross rental yield. So, fairly solid, obviously, pretty much pay for themselves, before tax. Because they are new build, you get some significant appreciation on them as well. Ryan: Yeah, which is great for high income earners, as well. Alright, so you’ve done this yourself and you’re now helping people do this as well. Let’s talk about what do you help people do, what are the costs associated with that and then how do we differentiate you from the property marketers who are where people buying these overpriced properties? 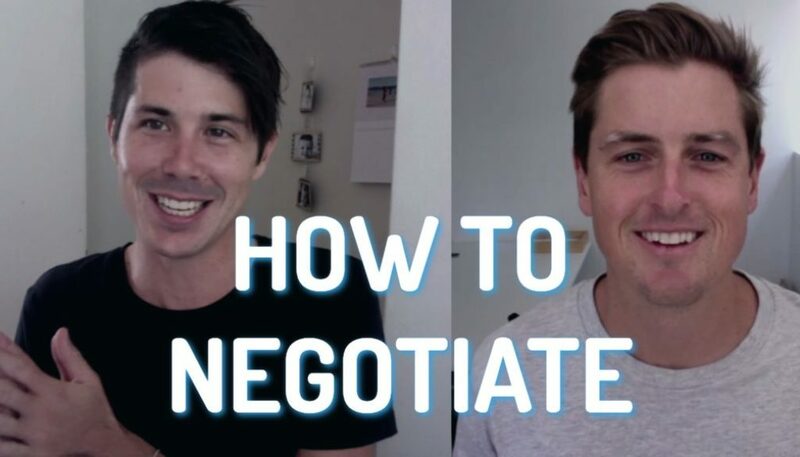 Ben: Alright, so, the simplest way to address that is, buyer’s agents work for you. They don’t get kickbacks from builders; they don’t get kickbacks from developers. So you pay them a fee and they go and find the best builder and the best piece of land for you in your situation. Where a property marketer, you don’t pay them anything but they work for the builder and the developer. So, if I’m working for the builder and the developer, I’m serving their best interest; which is to get them the highest amount of money. If I’m working for you, I’m serving yours and I’m trying to get you the product for the cheapest possible price. Ryan: And that comes down to who is paying your advisor? So if you’re paying your advisor, then they’re likely going to work for your best interest. Ryan: If someone else is paying your advisor, well, they’ve got an obligation to that person and all their money comes from that person. They’re going to serve them before they serve you. So, if people are employing you, then there’s going to be a fee associated with that, correct? Ben: 100%. So, our fees at this stage are; for the new-build properties, we charge $7,990 and for the existing properties that we help people find, we charge $5,990. And for that, we will introduce you to a mortgage broker, introduce you to a solicitor. We really specialise in Southeast Queensland. We will help you develop a property investment strategy, find the market, find the suburb, go and find the piece of land for you, negotiate that on price, help you settle on that, go and negotiate and find a builder for you and help you settle on that. Manage the entire process, end to end, from start to finish. Providing you with every 2 weeks forego and written updates as well as constant phone calls. We’ll go and do the final inspection for you, help you get the property rented out. And we’ll also introduce you to a depreciation specialist who can help you get the maximum tax benefits. So, a lot of people call it armchair investing. Or you can be as active as you want and use it as a coaching thing. Ryan: It’s like chilling in your armchair while someone else does it for you and help set that up for you. So, I guess what differentiates you is how you’re getting paid by people. So, do you get a cut from developers at all? Ben: Yeah. No cuts from developers, no. Ben: By the client. So the fee is what we receive. And then that allows us to go and do what we need to do for you. Obviously, we’ve got builders and developers that we prefer to use based on experience. Because there’s great builders, there’s not-so-great builders. There’s cheap and expensive builders. So, we’ve got 3 or 4 builders and a huge amount of developers that we like to partner with. Ryan: Okay. So how is someone going to know if someone’s getting a kickback from the developer or the builder? Ben: I don’t think there’s really any way to know. Outside of who’s paying who. So if somebody’s giving you something for nothing, they’re not doing something for nothing. They’re getting that money from somewhere. And if it’s not you, you can guarantee it’s the people that you’re paying. Ryan: And how would someone know? So, say they hire you or say they hire another person to go through. How would they know that the build they’re getting is a market-value build versus — Because you go doing armchair investing and someone’s doing it for you, how are you to ensure that even if they got 3 quotes, that they’re not 3 inflated quotes? Ben: Yeah, that’s a really good point. I suppose there’s a fair bit of trust there in regards to making sure that the person that you’re working with is doing the right thing by you. A way to do that might be to get some of your own comparable quotes but, generally, from a building perspective, it’s very difficult to get a fixed-priced quote from anybody before you put money down with them in Southeast Queensland. So, as you said, there’s a little bit of trust there. And I suppose it’s just looking at what are the comparable properties are selling for in that area and what prices other people have paid and getting a bit of a sales history or an understanding and then, again, ringing agents and finding out what that sort of property should actually be worth in that area. Ryan: Yeah. So, really, it’s looking at the finished product of the property and saying, what’s this going to be worth and what’s it going to rent for? Ben: Exactly. Independently of the person that’s obviously bringing the information to you or the product to you. Ryan: Yeah, sweet. Okay, so if someone wants to get in contact with you and find out what you do, what’s the best way for them to do that? Ben: The best way is probably just to jump on the website, which is www.pumpedonproperty.com and have a look at what we do. Have a look at the recent buyers, the testimonials and then just jump on to the contact us page and from there, click us through a quick email or give us a call and we can talk further. Ryan: Yeah. And so, basically, Ben will organise a strategy session with you, talk through where you’re going, what your goals are. He can talk about whether this dual occupancy strategy is for you. Or he also focuses on really solid growth areas where you can buy existing properties as well. So this is not all Ben offers. He really does offer a whole myriad of things. So do you want to talk about what sort of things people are buying through you? Ben: Yeah, so, we like to do 2 things; like, yeah, strategy is basically long term buy and hold. So, we like to work on a 10-year strategy with our clients. We either, as Ryan said, focus on those sort of — I wouldn’t call them high-growth but high-growth in the city areas. Particularly in the Brisbane and Gold Coast markets at the moment. Or we support people to build either normal properties, like single dwelling properties or these dual occupancy properties we’ve been talking about today. So, my personal portfolio is a combination of both. 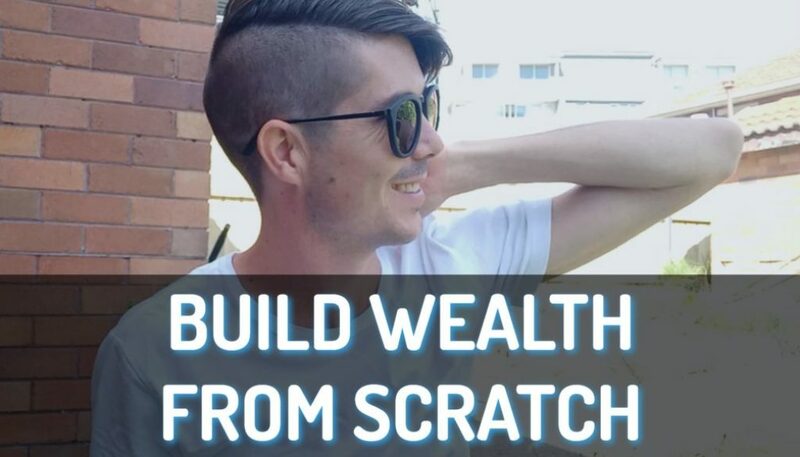 I’ve got some of those high cash flow properties and then I’ve also built and bought existing properties, chasing that high capital gain or growth. Ryan: Yeah. I think for a lot people, a mix of different strategies in their portfolio is probably what they’re going to go for, anyway, rather than putting all their eggs in one basket. You know, having existing properties, having these dual occupancy properties and stuff like that. So there’s going to be a whole bunch of people out there in different stages that want different things. So, I think it’s great that you offer that. Ben: 100%, yeah. As we sort of touched on before, for those of you who have seen some of the other videos we’ve done, it’s been a bit of a learning curve for myself. So, a lot of we do is just that sort of experience-based approach to the market place and only helping you buy things that we’d really buy for ourselves. Ryan: Yeah. And one of the things that I recommend people when they’re looking for buyer’s agents is actually seek out a buyer’s agent who has achieved what you want to achieve. So, Ben has become financially free before he was 30. He’s invested in multiple different types of properties, as we’ve talked about. And if that’s something that you want to achieve, maybe not before you’re 30, but if you want to achieve financial freedom, then you know Ben would be a good person to go to. But if you want to do high-end developments, or you want to build townhouses or units, then you might want to go through someone else. So, basically, whether you’re looking at Ben, whether you’re looking at a different buyer’s agent, whoever you’re looking at, look at what their portfolio is; look at what they’ve achieved and then say, okay, what do I want in my life? and, has this buyer’s agent achieved that or are they on their way to achieving that and they have the experience and the skill set to take me there? So, I definitely recommend that anyone do that before they go through a buyer’s agent. As I said, you guys can check out Ben. Simply go to pumpedonproperty.com and you can request a free strategy session. And if you let him know that you came from Ryan on On Property then I do get a referral fee for that. Thank you so much, Ben, for coming on and sharing all this awesome information about dual occupancy properties. I’ve learned a lot. I thought it was a lot harder than it actually is and a lot more expensive than it actually is. It’s pretty exciting to see that most people could easily achieve this. Ben: 100%. No, it’s super easy. And, yeah, basically, “If I can do it, anyone can do it” is the approach that I’ve always taken. Ryan: Awesome. Okay, guys, until next time, stay positive.